A personal dosimeter keeps an individual record of radiation dose for each employee. Rather than guessing a hygienists’ exposure (or lack thereof) based on readouts from an area dosimeter, an individual badge for each employee is more reliable for determining an individual’s daily and cumulative dose exposure. Accidental exposures can happen. 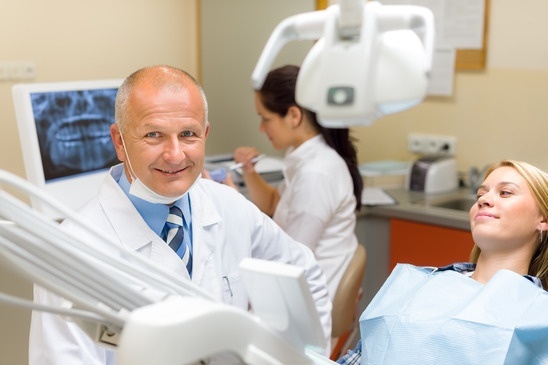 Although a hygienist may stand near an area dosimeter while administering X-rays, it’s possible another employee could accidentally be exposed to scatter radiation. Area dosimeters will not detect if other employees are in or out of harm’s way. Employees feel valued when a dental practice invests in safety. Purchasing personal dosimeters for all employees sends a powerful message: Health and safety are a top priority and potential exposure to large amounts of ionizing radiation is not acceptable. Specifically, pregnant employees want to be assured they are not subjecting their unborn child to harmful radiation. Documentation of dose history can reduce claims and litigation risks. If an employee experiences a serious health problem and questions if it is related to radiation exposure on the job, the employer can refer to the employee’s specific dose history and evaluate exposure levels on a daily or cumulative basis. Personal dosimeters offer the only true way to know an individual’s radiation exposure. The Instadose+ TM dosimeter is easier to use than traditional film dosimeters because it doesn’t need to be collected, processed and distributed every few months. Dose readings can easily be checked via a computer or mobile device and when worn by an employee, provides an accurate daily and cumulative reading of an employee’s radiation exposure.